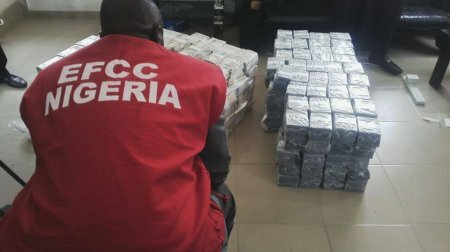 The whistle-blower who disclosed information leading to the recovery of $43.4m, N23.3m and 27,800 Euros from Flat 7 Osborne Towers, Ikoyi, Lagos State, has dragged a number of agencies in the country to court. He has filed a suit demanding payment of whistle-blowing fee on the recovery. The Economic and Financial Crimes Commission, the Federal Ministry of Finance, and the Attorney General of the Federation and Minister of Justice, Mr. Abubakar Malami (SAN), and three others were sued as the defendants in the suit filed before the Federal High Court in Abuja.